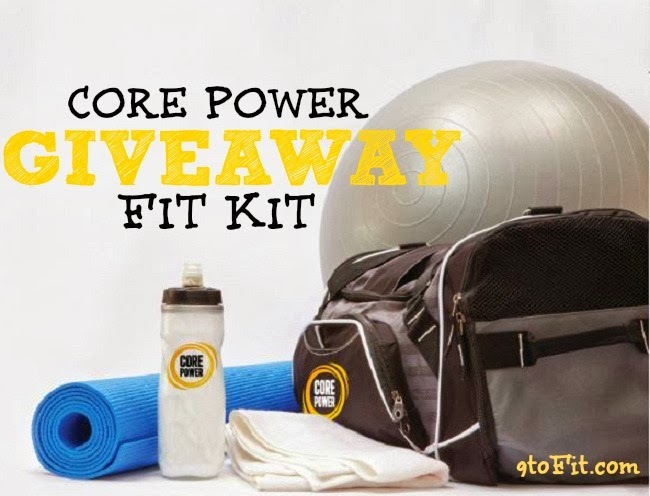 Disclaimer: I was given this Core Power Fit Kit free of charge but all opinions are my own. I have never been a huge protein shake person, it’s not that I have anything against them it’s just I usually prefer to eat something like peanut butter after a workout. Also the select protein shakes I’ve tried have been pretty chalky and expensive, therefore peanut butter or nuts were my go to post workout fuel. 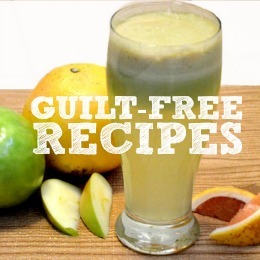 I recently had the chance to try out some Core Power protein shakes and was pleasantly surprised. Core Power is a real-milk based sports recovery sports drink and contains natural whey and casein protein found in milk. My favorite was chocolate (surprise surprise), it tasted like chocolate milk but just a tad bit thicker. The chalkiness of this was minimal, if any at all. I also liked the convenience of being able to just grab it and go. 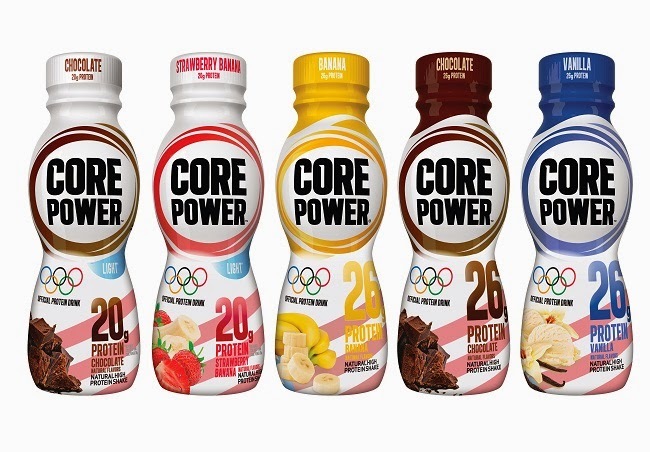 Core Power was recently named the Official Protein Drink of the Sochi 2014 Olympic Winter Games, and has decided to put together this great Fit Kit. Does anyone else get super excited for new fitness gear like me? 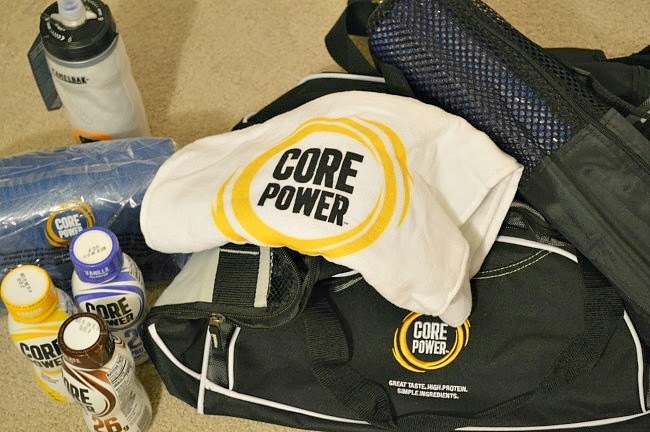 In the kit came a big Core Power gym bag, a yoga mat, a yoga mat holder, a towel, a camelbak water bottle, a workout ball, and 3 different flavors of their Core Power protein shakes. AND they were nice enough to let me giveaway this WHOLE Fit Kit to one of my readers! Enter in the raffle copter below, contest ends Thursday. And don’t forget to follow Core Power. 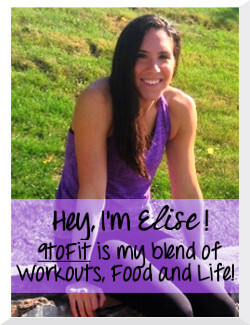 Feature Friday: Fit Foodie Finds	At Home Cardio Ladder & a Winner!